On my birthday back in September, all I wanted was a f#@%ing crunchy taco. You would think that wouldn’t be too hard, but we were up in Portland, and though they have some pretty authentic Mexican joints, the fact that I am vegetarian made it very difficult. To my dismay, there were no crunchy tacos to be had on my birthday trip to the Pacific Northwest. Fast forward to a few short weeks ago. 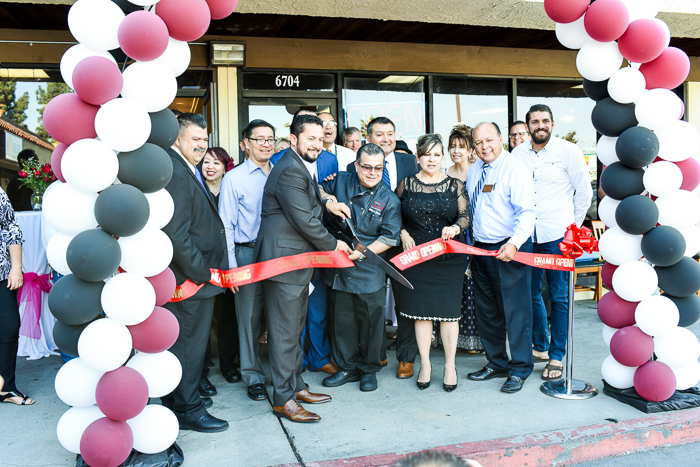 I got invited by Melissa’s Produce to attend a grand re-opening of Zapien’s Salsa Grill and Taqueria in Pico Rivera. To my delight, they had Tacos de Papa, or Potato Tacos on the menu among other delicious offerings, and these were crunchy! I was so overjoyed that my table mates, some of whom I had just met, were subject to my sad taco birthday story. Enough about my taco obsession. Let me explain the history of “The Best Mexican Restaurant In Los Angeles”. First, a little history. 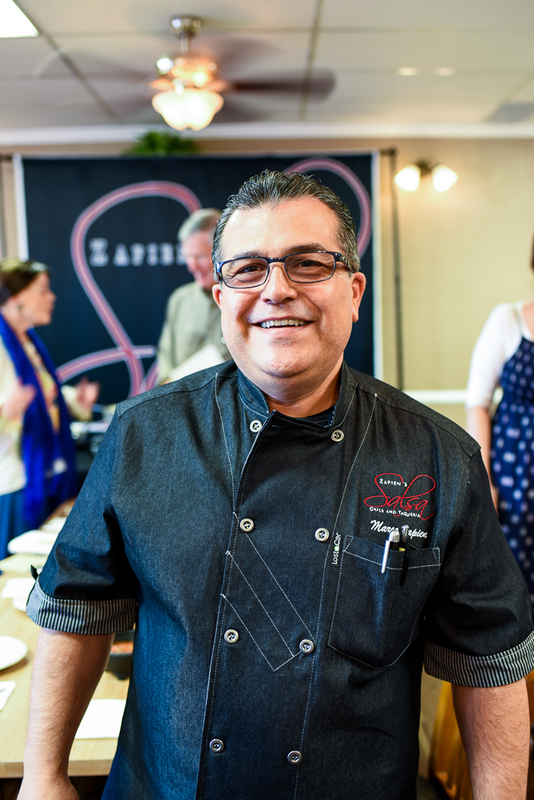 This is Chef Marco Zapien, the chef behind Zapien’s Salsa Grill and Taqueria. This wasn’t always Chef Marco’s passion, though his love of food came at a young age when he first had his Grandmother’s chile rellenos. 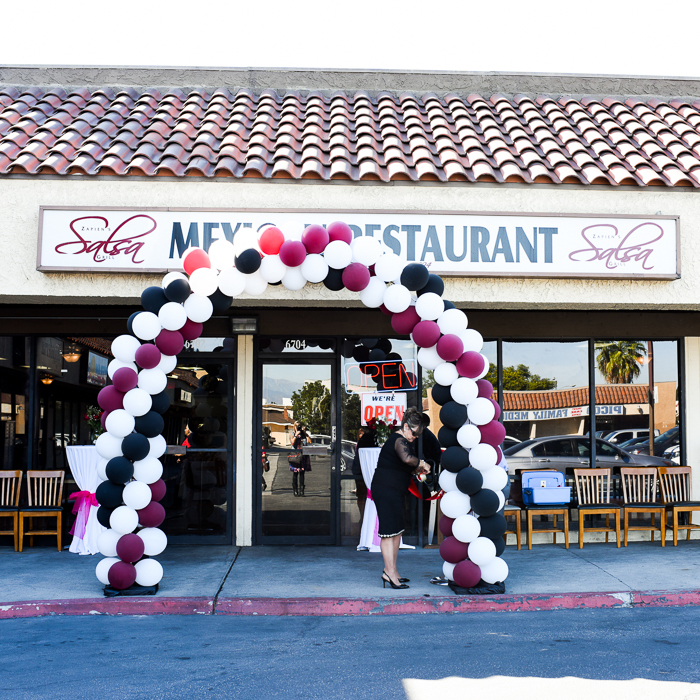 While his father, Jess, opened Zapien’s Salsa Grill & Taqueria in 1993, Marco pursued a degree in accounting, but quickly found that the profession didn’t suit him. He was off to culinary school shortly after, and graduated from the Los Angeles Culinary Institute with honors in 1997. In 2003 he partnered with his father, becoming co-owner and Executive Chef of Salsa Grill. As a result of this partnership, the restaurant has seen huge gains in revenue and press acclaim, and the business is flourishing. It’s doing so well, that they just had their grand re-opening on November 9th, after a complete remodel of the restaurant. He also holds a position at Melissa’s Produce as a Corporate Chef in charge of Sport and Entertainment for venues all around Los Angeles including his favorite, the Angel Stadium! After two weeks of remodeling the interior of the restaurant, I was invited to the Grand Re-Opening of the event, where they showcased many of Chef Marco’s creations. Handmade tortillas are made fresh daily. 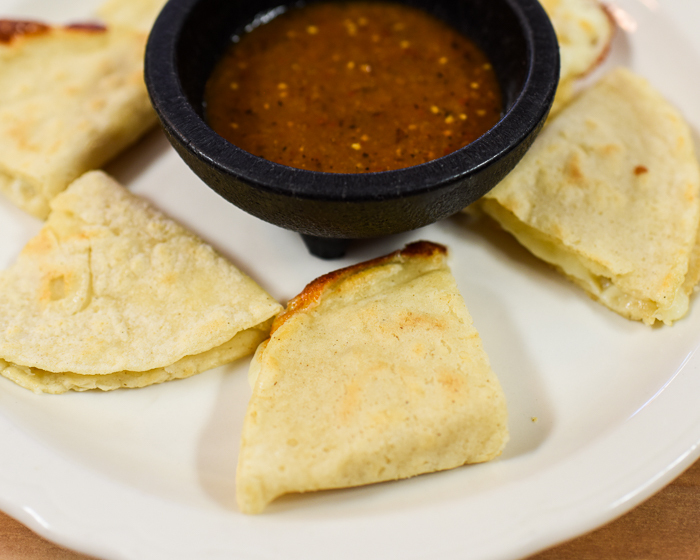 If you’ve never had a fresh tortilla, you have not lived! 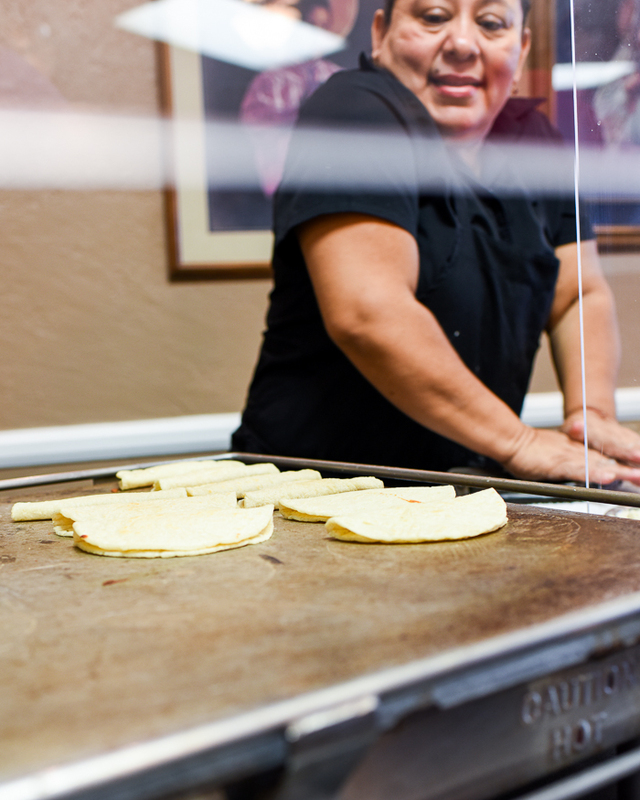 The tortillas are made on the restaurant floor so you can witness the magic from your table. I thought they did this special for the event, but I returned with my family this past weekend, and this is a main fixture of the restaurant every day. 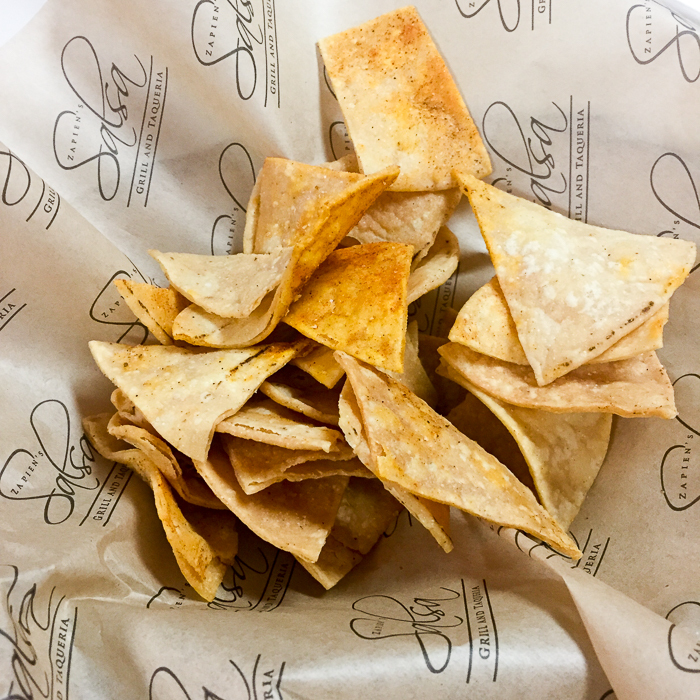 From these house made tortillas, they also make their tortilla chips, which are equally delicious and beautifully crunchy. 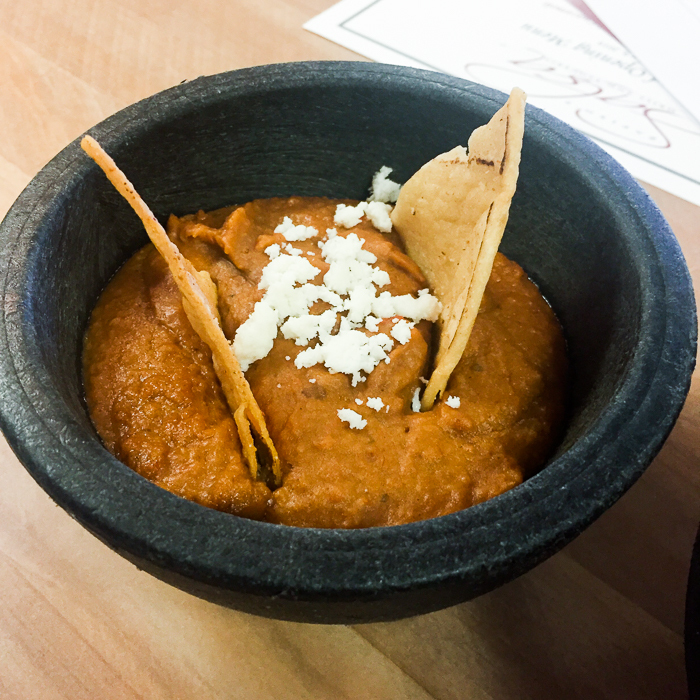 Everything is made in house, including the salsas, guacamole, and chipotle bean dip which is made with chorizo and chipotle. When you come to the restaurant, each table gets salsa, chips and the bean dip. 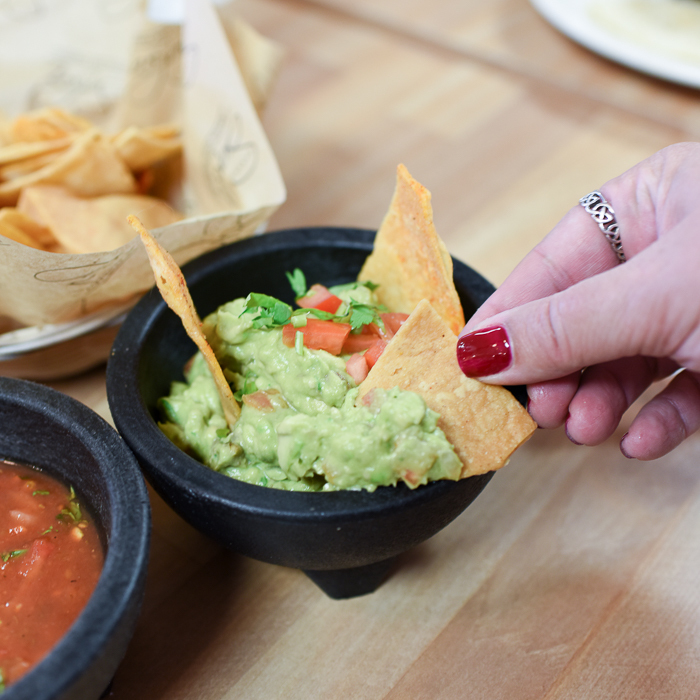 From there, we moved on to more substantial appetizers, like quesadillas made with those house made tortillas, and guacamole made with the freshest avocados. Even though the Cilantro Caesar Salad looks unassuming, the lettuce was super fresh, and was topped with tomatoes, Parmesan cheese and tortilla strips. 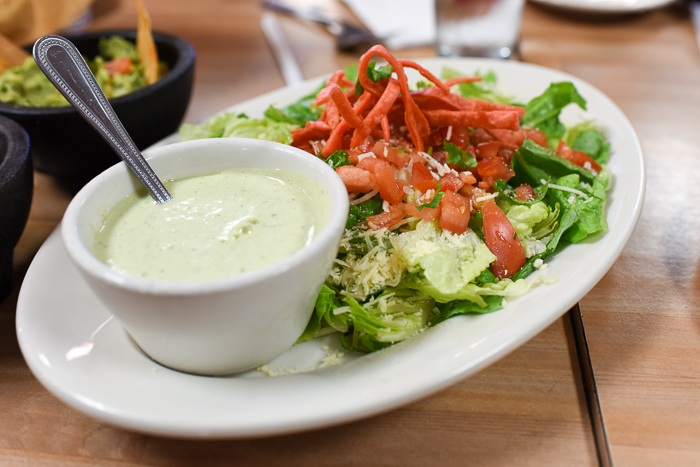 The Cilantro Caesar dressing is made with mayonnaise, cilantro, and Worcestershire sauce to emulate the anchovy in a traditional Caesar Dressing. It sent the salad over the top, and was very refreshing. Here they are, the Tacos De Papa! 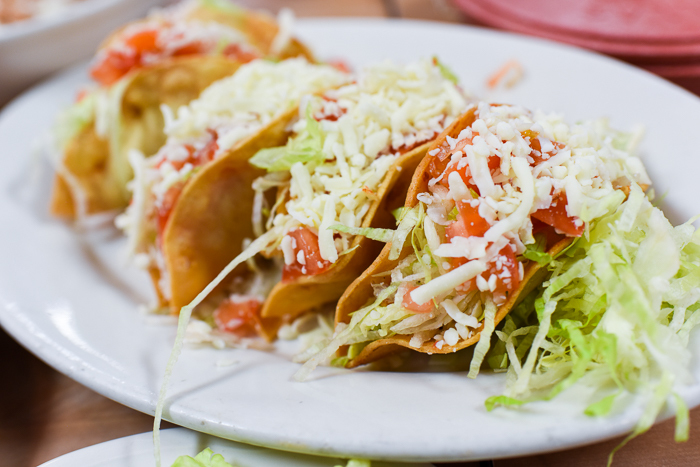 These sublimely crafted crunchy tacos have a filling of Melissa’s Produce’s Baby Dutch Yellow® Potato puree, and are topped with lettuce, tomatoes, and queso ranchero. I was in heaven. I loved them so much, that I created my own recipe for Tacos De Papa below using homemade tortillas too. But first, we must forge onward. 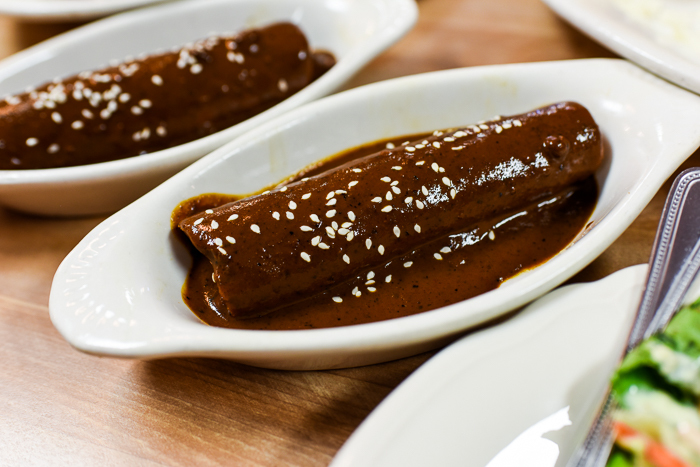 The Enchiladas en Mole were a very unique take on traditional mole using poblano peppers. The enchiladas were stuffed with chipotle braised chicken, and topped with sour cream. Since I’ve chosen a vegetarian diet, they were most accommodating, and made mine with expertly roasted veggies including red pepper, eggplant, and zucchini. Given that many more people are choosing that diet, they try to be as accommodating as they can while still holding true to tradition. Their beans are made with lard, but you can order frijoles de la olla, which translates to “beans in a pot”, which have no lard in them. The rice is also made with chicken stock, so just be aware, and let them know if you’re vegetarian or vegan, and they will do the best they can to accommodate. We were also served Chile Verde, which looked amazing, and my table-mates assured me that it was exquisite. 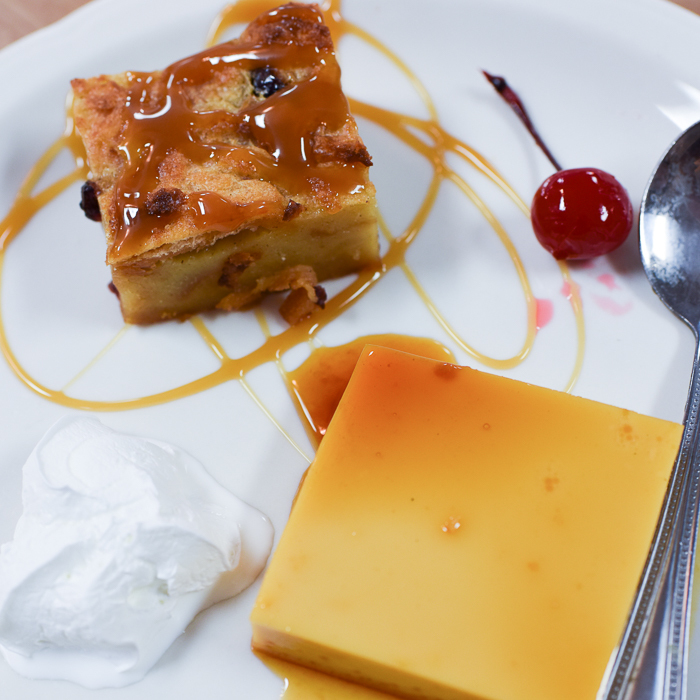 Our meal was capped off with a warm bread pudding, and classic flan with caramel sauce. It was served with coffee spiced with cinnamon, which I had never tasted before. It was so different, and complimented the desserts so well, that I wouldn’t order the dessert without it. 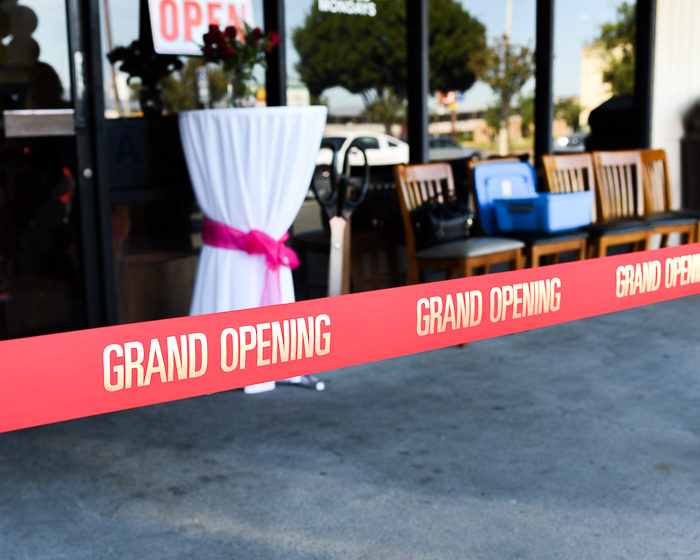 Finally, we all moved outside for the official ribbon cutting to demark the grand re-opening of this award winning restaurant. Did I mention that it won “The Best Mexican Restaurant in the L.A. Area” since 2006 by Los Angeles Hot List? They’ve been #1 so long for a reason. Chef Marco’s food is exceptional! I was so inspired by Chef Marco’s tacos, that I couldn’t wait to interpret them my own way. 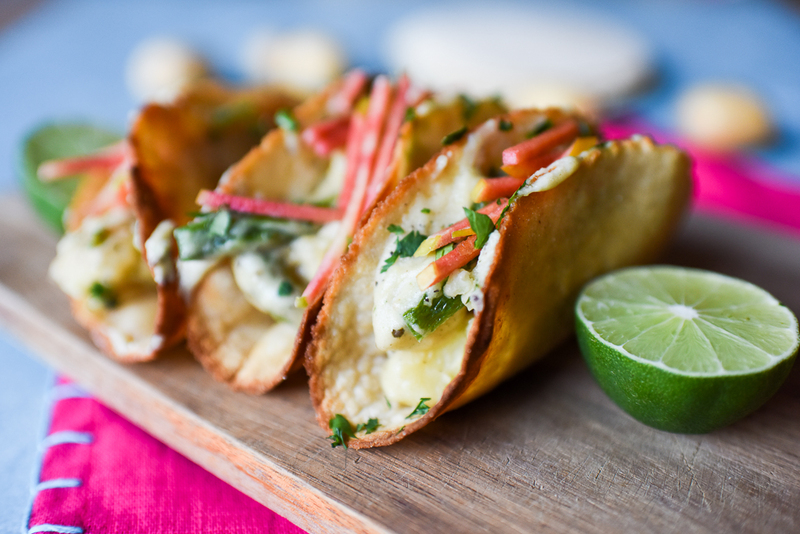 This wasn’t the first time I’ve had potato tacos, so I combined all the great things I loved about all potato tacos, and rolled… er folded them all into one! 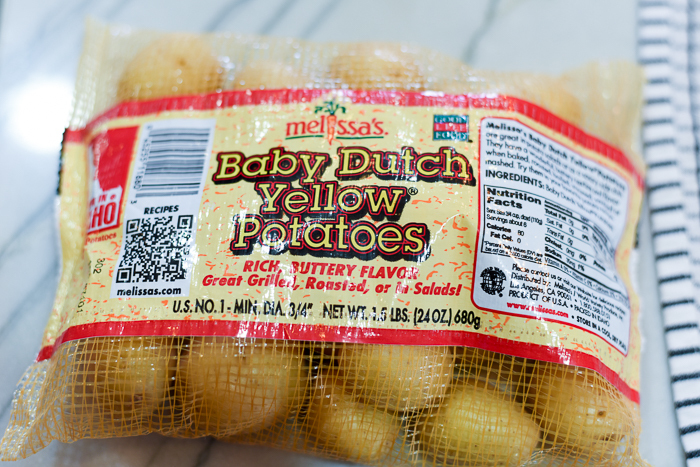 First, we start with Melissa’s Produce’s Baby Dutch Yellow® Potatoes, and cut them into 1/2″ sized pieces. 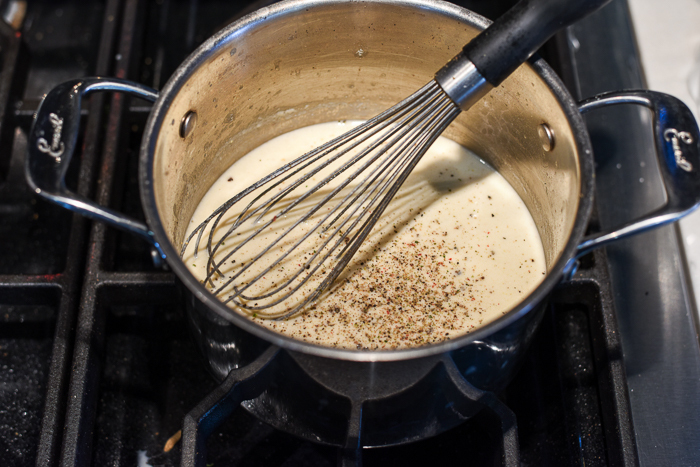 Then, we make a vegan bechamel sauce with olive oil, flour and almond milk, then season it with nutmeg, Mexican oregano, nutritional yeast, salt, and pepper. 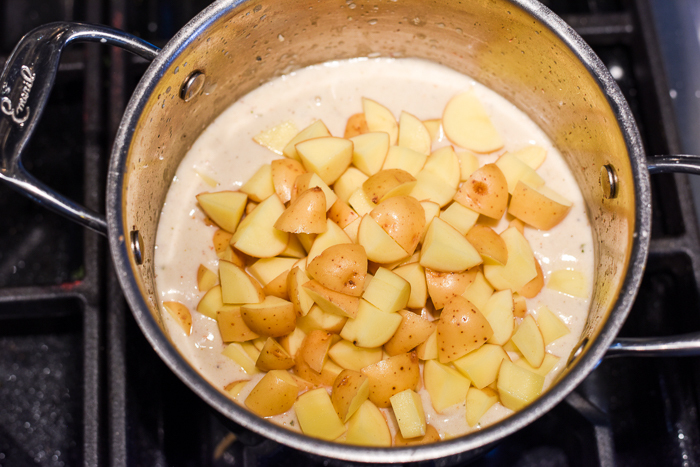 Add in the potatoes, cover, and simmer while stirring occasionally so the bottom of the pot doesn’t scorch. 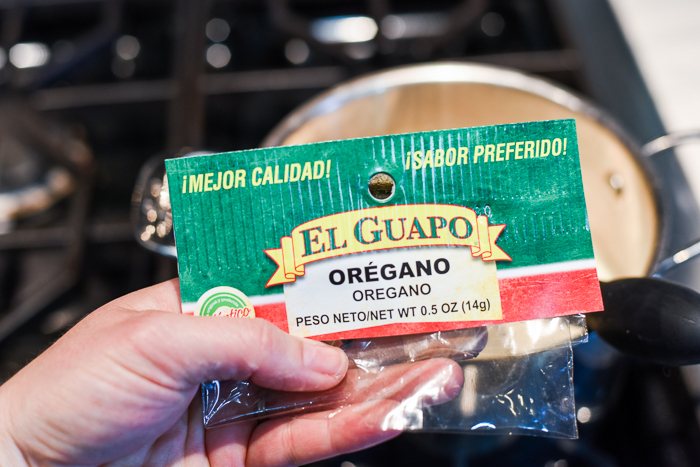 Add in roasted Pasilla strips, and fill your tacos with the potato goodness! You could also use pickled red onion too, but the apples are so unique! Serve with lime on the side for a little extra brightness, and enjoy immediately. 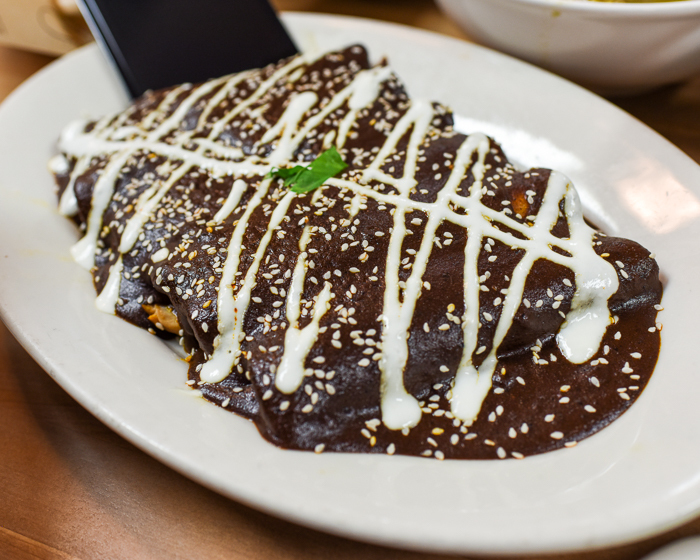 The visit to Zapien’s Salsa Grill & Taqueria pushed my inspiration to its limits with the innovative dishes that still stick to tradition. If you are in the Los Angeles area, I definitely urge you to check them out! They also do catering and pickup and delivery for events. 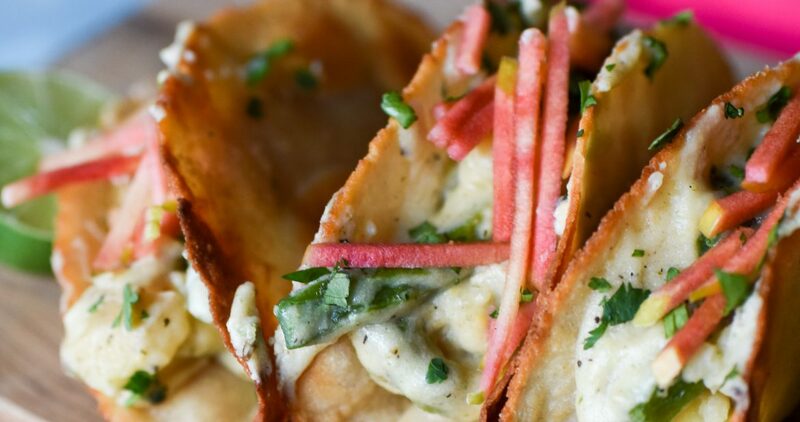 If not, you can pretend you went there and try these tacos. 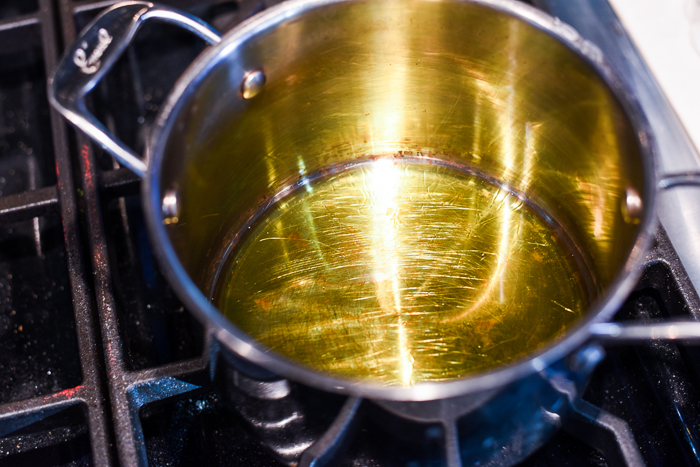 Heat a medium-sized pot over medium heat, and add the olive oil. When you see the oil ripple, add in the flour, and immediately start whisking for one minute. Add in half the almond milk, while continuing to constantly whisk the mixture. 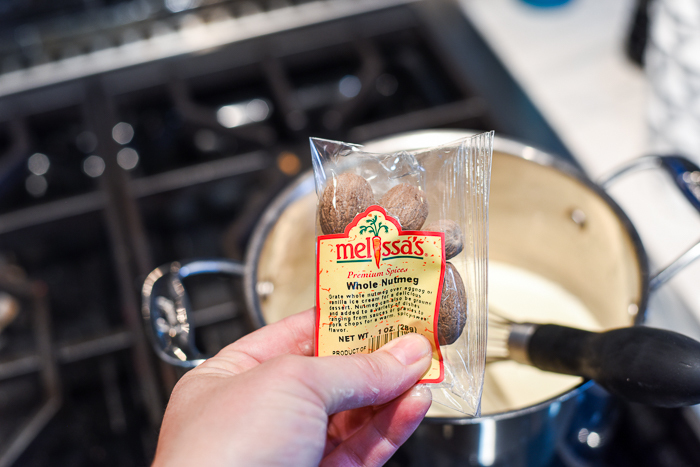 Once the initial addition is incorporated, add in the remaining milk. Add in the nutritional yeast, nutmeg, Mexican oregano, black pepper, and salt. Stir to mix well then add the potatoes, mix again, cover, and turn the heat down to simmer. Simmer for 30 minutes, stirring occasionally so the bottom of the pot doesn’t scorch the mixture. 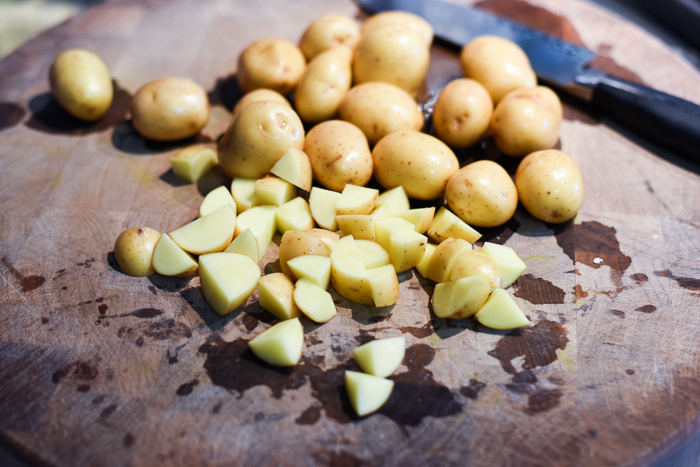 The potatoes may break up a bit as the mixture cooks. That is exactly what you want! While the mixture cooks, roast your peppers, and cut them into strips. Add them to the potato mixture and mix well. Heat a small skillet over medium heat and add the vegetable oil. When the oil has come up to temperature, using tongs, fry up your tortillas in the shape of taco shells. Cut the apple into matchsticks right before you’re ready to fill your tacos. I used a mandoline with the matchstick attachment to do this, but you can easily cut the apple into thin, match-stick like shapes with a knife. 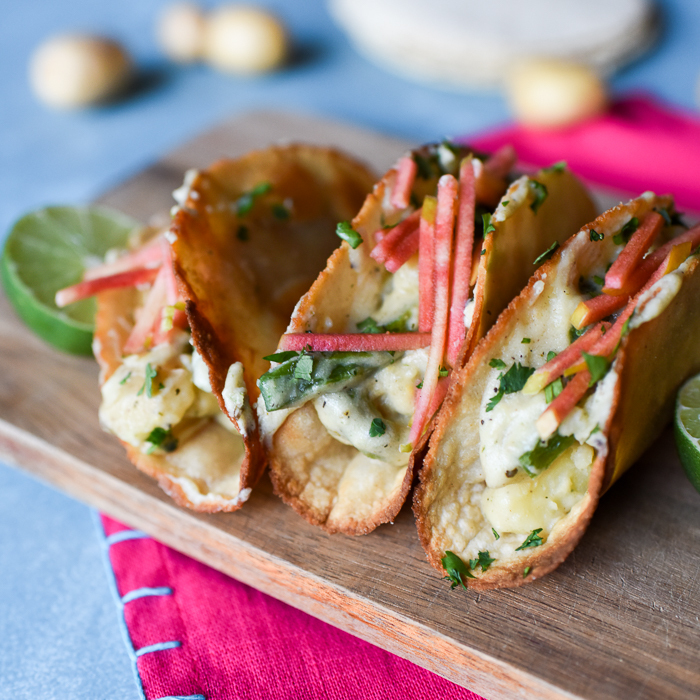 Fill the taco shells with the potato mixture, top with cilantro and apple matchsticks. 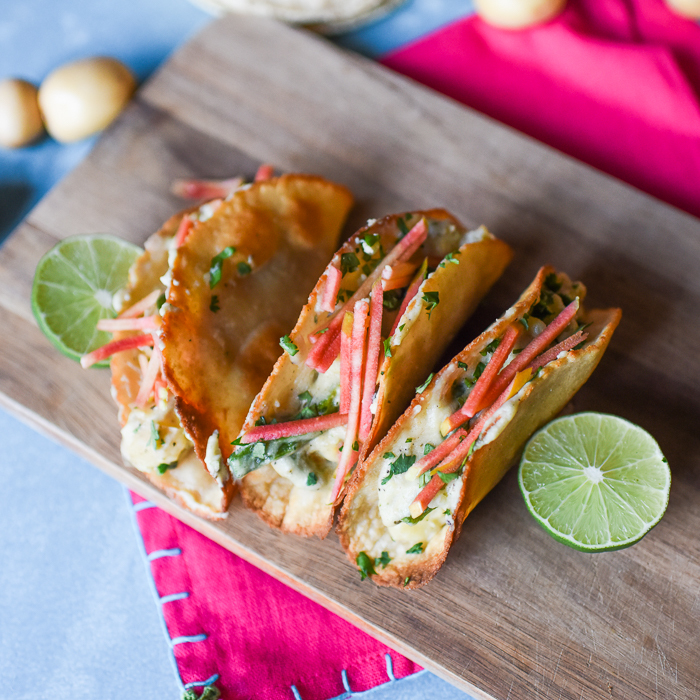 Serve immediately with lime wedges on the side. My method for frying up taco shells goes like this: First, set out some paper towels, which will allow your taco shells to drain of grease while you cook the remainder. One at a time, I’ll immerse the tortillas in the oil, and fry on both sides for about 2 seconds. You’ll notice the tortilla start to firm up a little bit. At that time, you’ll start to form your taco shell. Gently fold the tortilla over slightly so it looks like a taco shell, but still has a nice, rounded bottom. At this point, only one side of the taco shell will be getting fried, so you will have to flip it over to fry the other side. I flip the taco every couple seconds so you get an even fry, and don’t burn the shell. Once your satisfied with the crispness, pick up with your tongs, and let the majority of the oil drip back into your skillet. Place on the paper towel to drain, and repeat with the remaining tortillas. Ooooooh I love tacos too. These look absolutely amazing. The restaurant look delicilous, I must check it out next time I am in the area. Cathy, you won’t regret it!